When folded, this one-sheet schedule looked like a boarding pass – reinforcing Silverline's explorer theme. Silverline employees wore yellow shirts to stand out when in front of their booth. 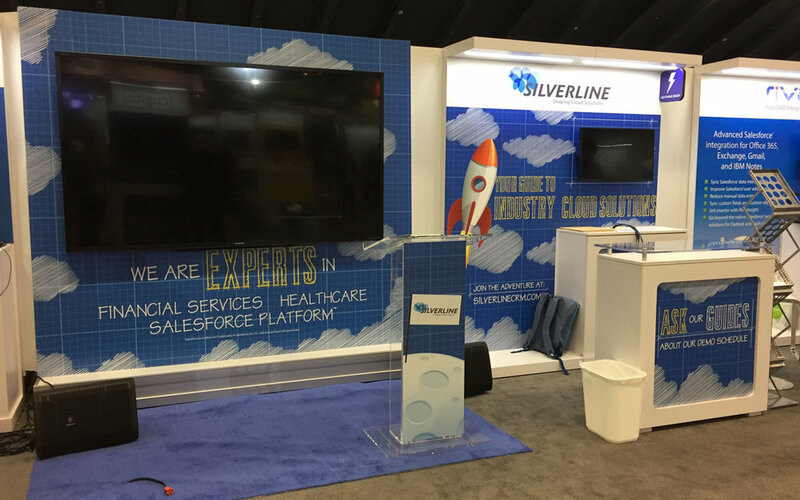 Double the size of a typical booth at Dreamforce, Silverline's event display required a theme that was flexible enough to extend to their conference footprint, podium, supporting collateral, presentations, posters, apparel, contest promotions and HTML emails.